﻿ Hotel Front Desk Software for Cloud-based Property Management System (PMS). Hotel Front Desk Software for Cloud-based Property Management System (PMS). Cloud-based Hotel Front Desk Property Management System (PMS) with complete staff metrics and unlimited guest document storage. The PMS coordinates your front desk operations, housekeeping, booking engine, guest services, and distribution channels through a single sign-on cloud interface that works from any desktop or mobile browser. There’s nothing to install or update. Click and drag anywhere in your calendar to make a reservation, or move and resize your bookings directly in your calendar to reschedule. View rates & availability for any period and book a room with as much or as little information as you like. Your inventory is automatically kept up to date everywhere. 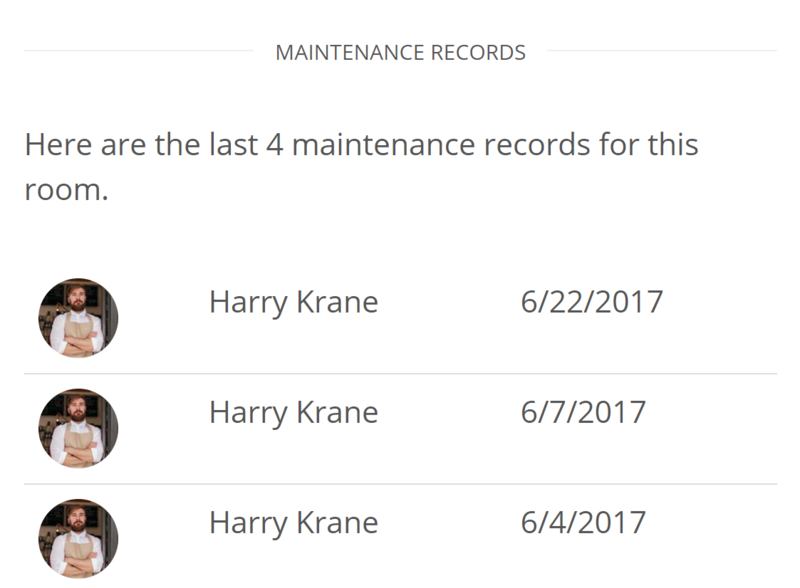 Manage all your properties from one account. 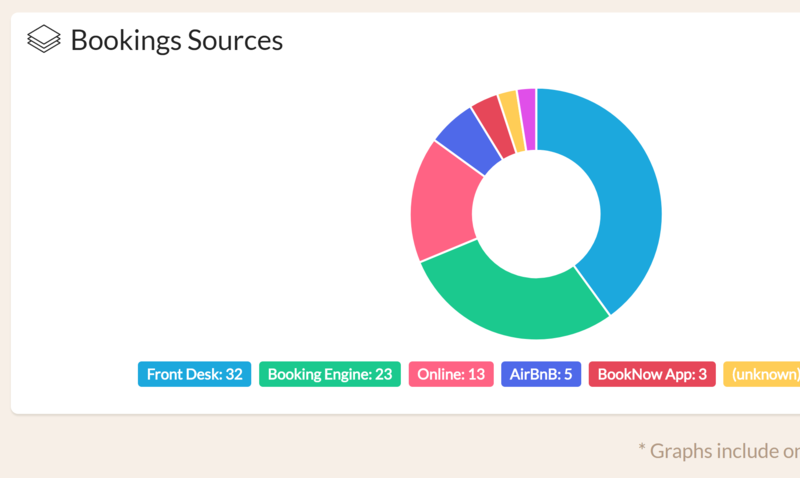 Each location gets its own booking engine, channel manager, payment gatway, etc. Spread your rooms over as many locations you like at no additional cost. Our Front Desk Manager makes it easy for you to manage your bookings. Process deposits, reschedule, and add items to a booking, all from one simple interface. Our platform is always a step ahead, helping you to take the right actions at every step of the process, from booking to check-out. 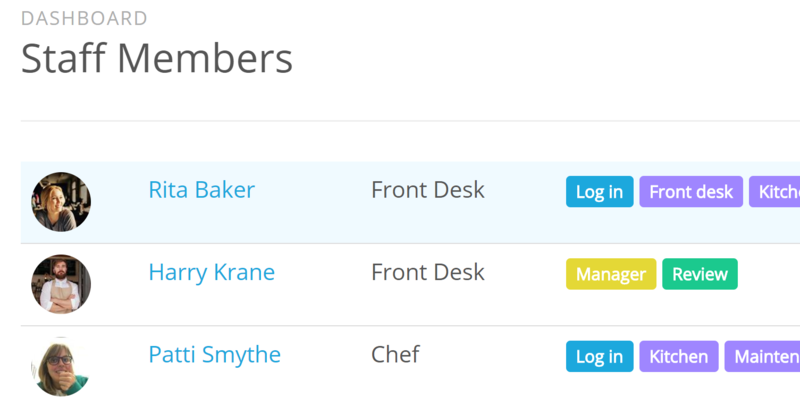 Add staff members to your account to manage front desk, kitchen, and maintenance operations. Staff members have limited permissions, and can be assigned to manage as many locations as you like. There is no additional fee for adding staff to your account. 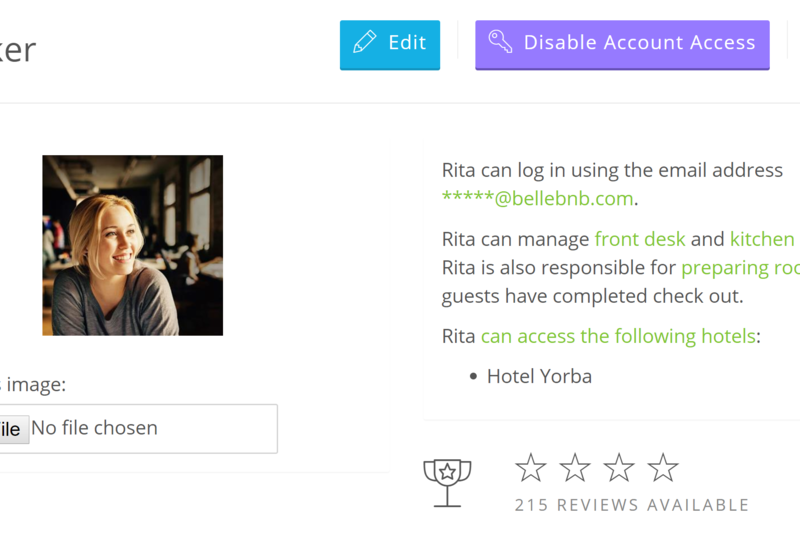 Each time a staff member creates a booking, completes a check-in/checkout, delivers a room service order, or prepares a room, their profile will be updated, giving the hotel owner/manager a complete picture of their performance stats. 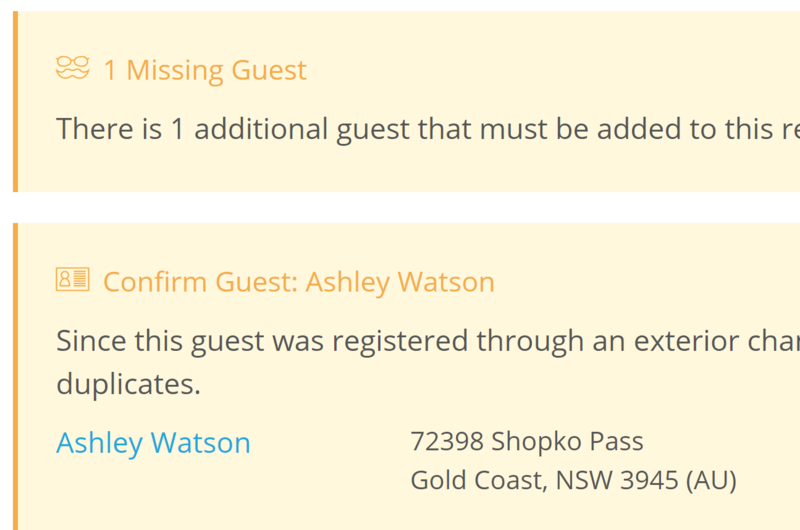 You don't need to re-enter any information or scan ID documents for returning guests. 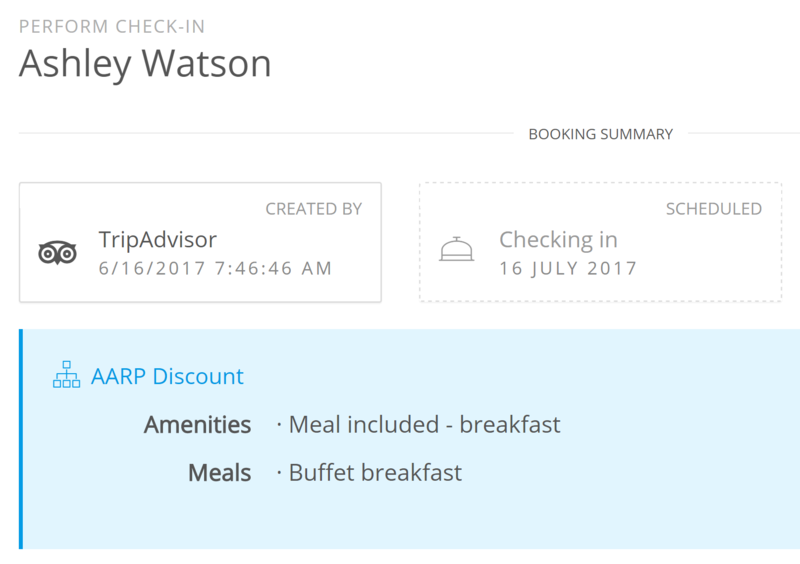 New booking data gets added to their existing profile. 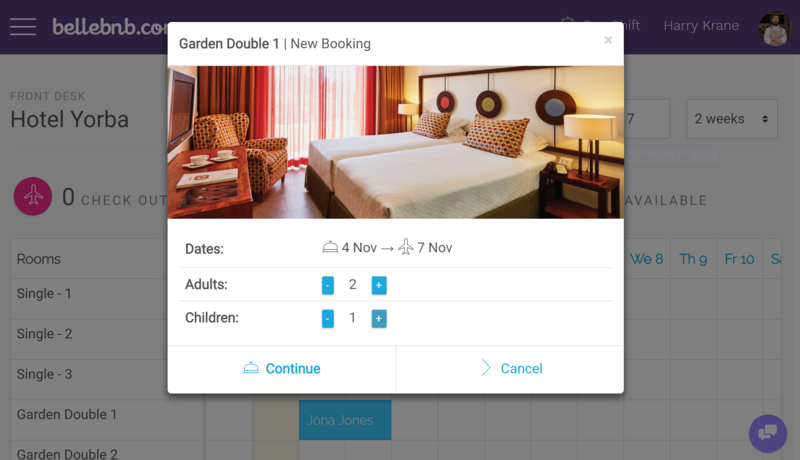 Any bookings that come in through an exterior channel, like your booking engine, will be matched against existing guests to avoid duplicating information. 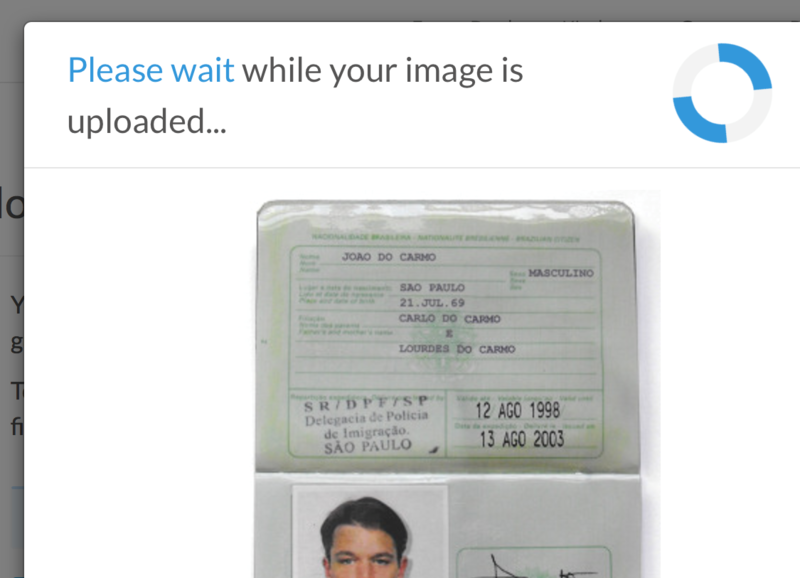 Build guest profiles, complete with ID/passport photo. Just take a picture with any smartphone and drop into your browser. ID documents are stored safely in the cloud and available from anywhere. 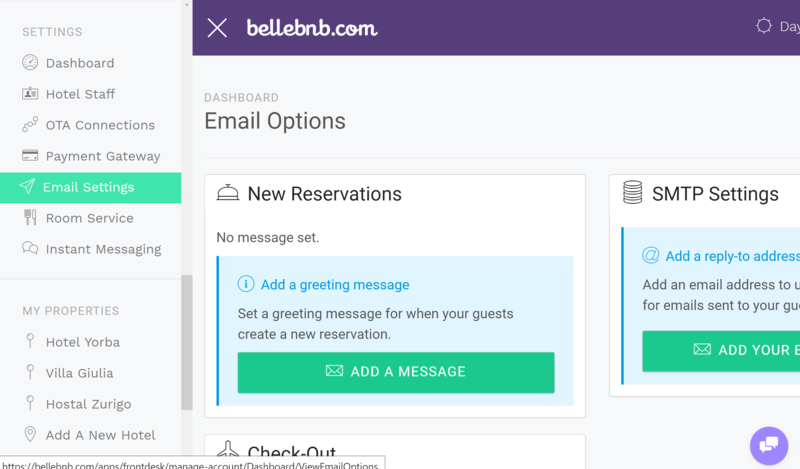 Create custom emails for your daily hotel activities. 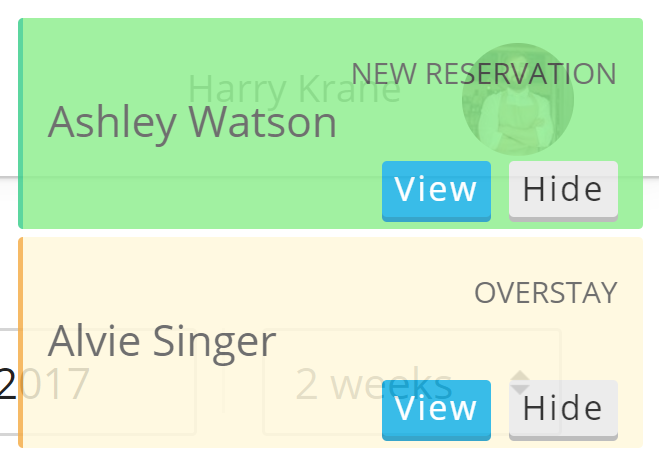 You can create a custom message for new reservations, check-outs, and cancellations. 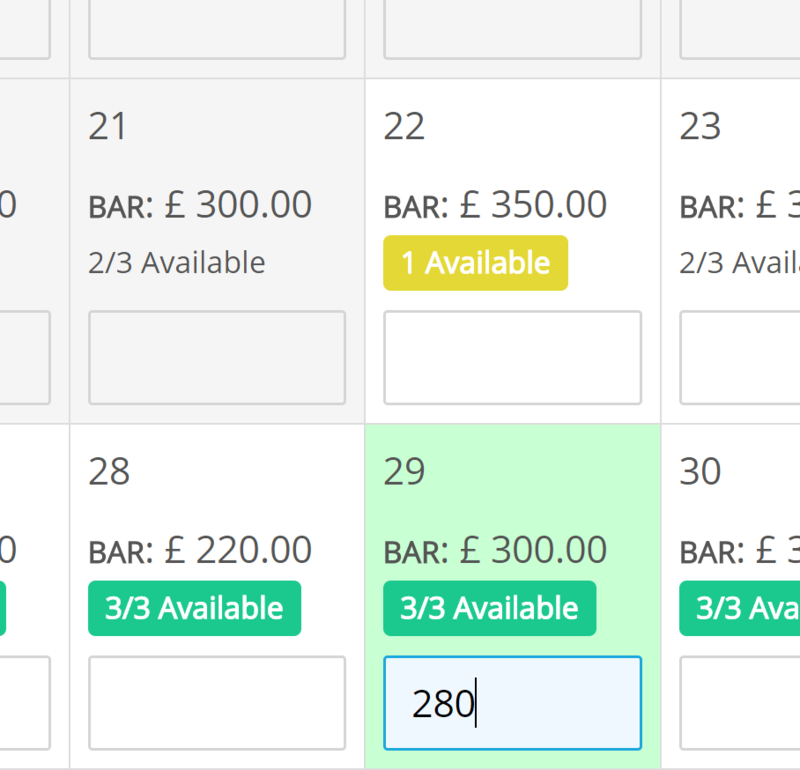 Edit your messages in HTML to send out automatically as part of your bookings flow. 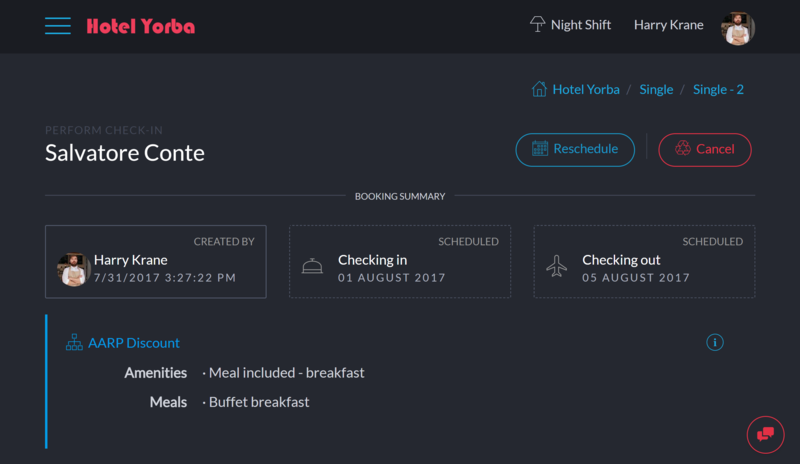 Your calendar will notify you of any late arrivals, overstays and any other bookings that need to be reviewed by your staff. Cancel or reschedule any bookings before they become an issue. Rooms are marked for preparation after guests complete checkout. Your Housekeeping staff can leave a note on the state of the room after it has been prepared (e.g., missing towels, minibar usage), leaving the hotel owner a complete picture of when the room was prepared and by whom, and how each guest left the room. Run reports on everything, then export to your favorite spreadsheet platform in Microsoft Office or Google Docs, or hand over to your accounting department to be imported into Quickbooks.